Kickstarter sure does bring some fascinating products to the attention of potential buyers. The newest one to catch our eyes is the Epiphany onE Puck charger. What makes this different from any other conventional charger is that this one requires no wall outlet for its power. Ever. 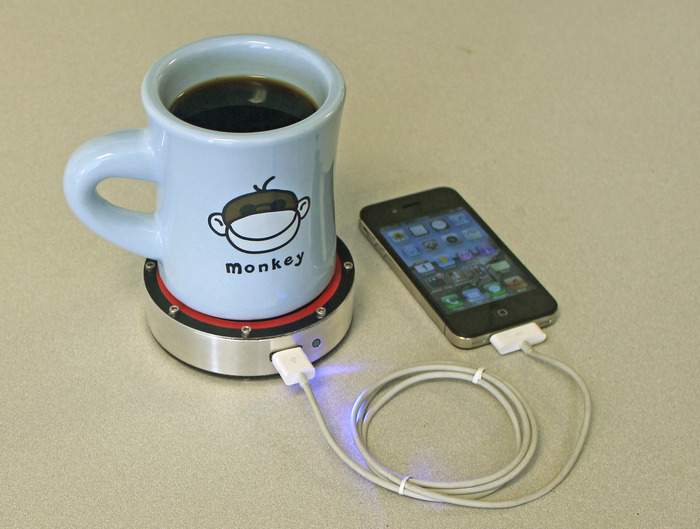 The onE Puck only requires your hot cup of coffee or cold glass of beer to make sure your device never goes dead again. Cool, right? They are on Kickstarter for $115, but once the early bird-type of discounted chargers are gone, they will sell at retail for $150+. Yes, that seems quite steep for a charger, but then again, the idea of having a charger that will never need a wall outlet is pretty cool. Check out their page and the video below for more info.